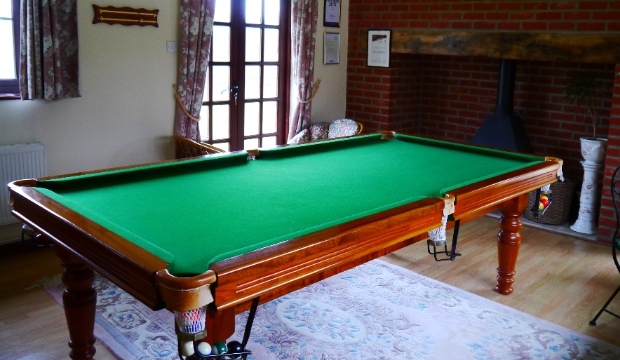 Purpose built in 2014 from Sustainable New Forest Oak and overlooking the old orchard you will be able to while away the time on our snooker/pool table. Open all year round the hot-tub is a wonderful place to unwind after a hard day of enjoying yourself in the wonderful Hampshire countryside. Due to insurance reasons we have had to restrict the use of the hot-tub to over 12 year olds and to avoid disturbing other guests we sometimes apply a time restriction.